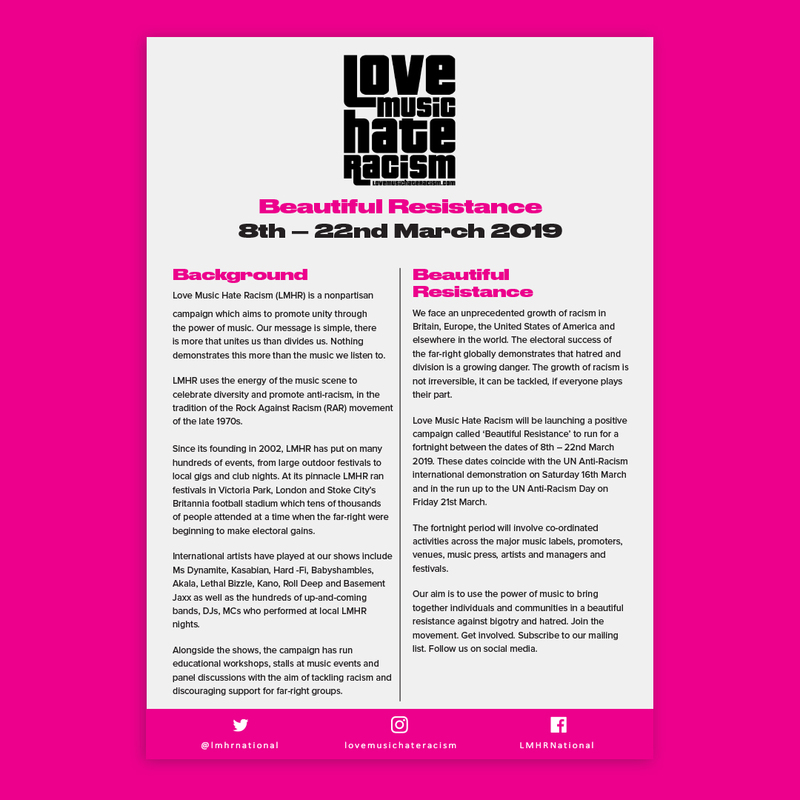 Love Music Hate Racism has developed a range of free resources for people who want to get involved or to find out more. 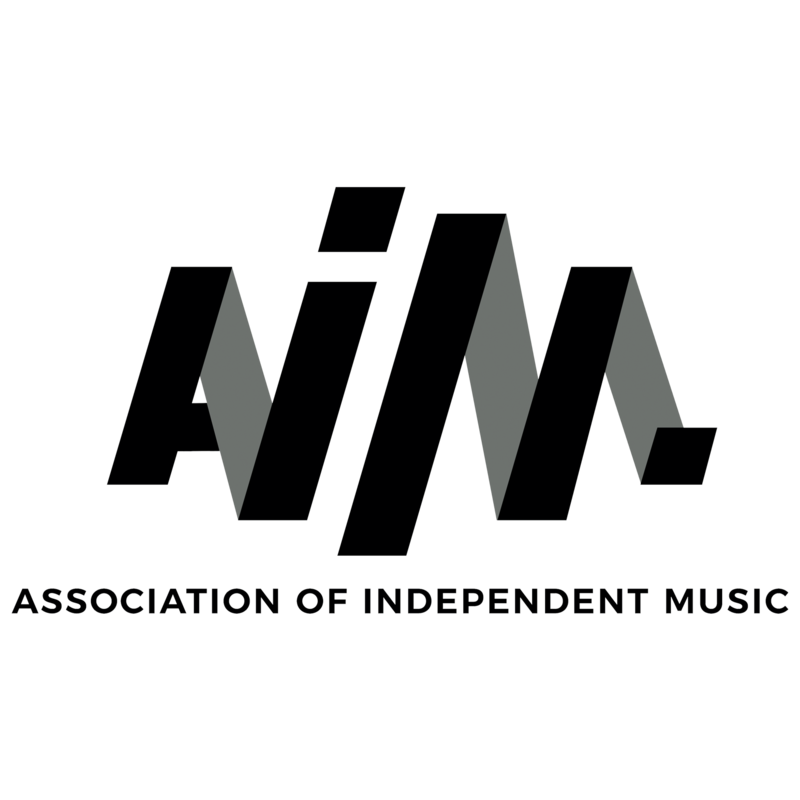 Download the official LMHR logo to help create your own educational materials. Help share information on our cause with these A4 leaflets. 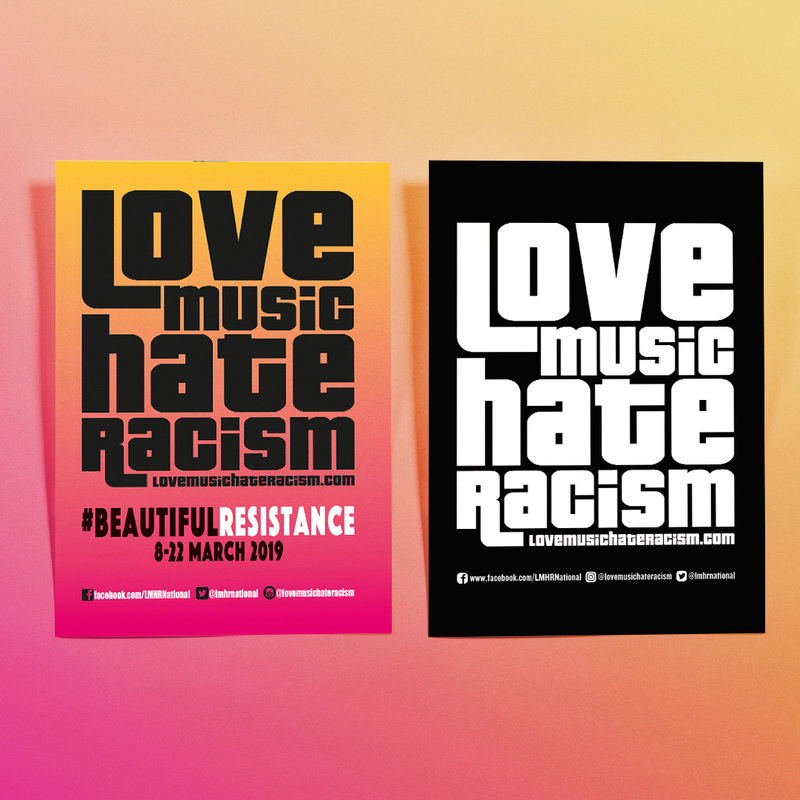 Each details our history and the "Beautiful Resistance" campaign.